Nostalgic Black Eyed Susan Advertising Graphic! Today I’m sharing this Nostalgic Black Eyed Susan Advertising Graphic! 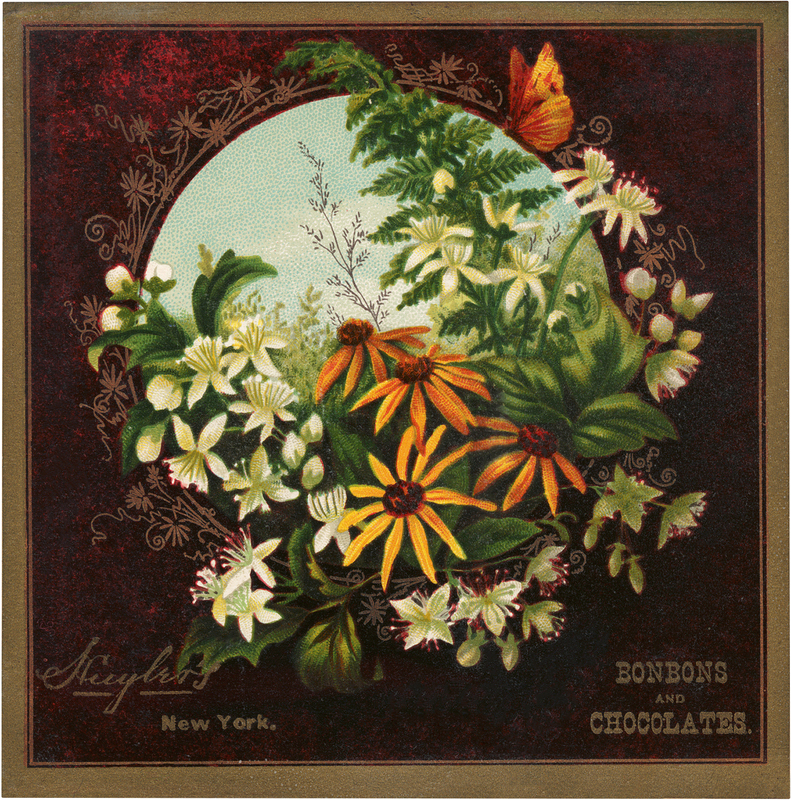 This golden frame showcases a floral advertising print for Bonbons and Chocolates from New York on a rusty brown background. The yellow Black Eyed Susan emerges from a circular window opening with patches of delicate white flowers, ferns and greenery, and an orange and yellow butterfly. Around the opening is intricate gold scrollwork and floral designs. 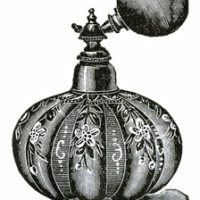 So nice to use in your Fall Craft or Collage Projects! This image goes with Vintage Anemones Advertising Graphic! « Nostalgic Black and White Halloween Party Clip Art! The anemone picture is coming up with a 404 error when you try to use the link. Hi Erin, maybe give it another try, I just tested it and everything was fine 🙂 Thanks for letting me know though, I do appreciate it! So sorry, but it’s not working for me either. Perhaps the image’s file extension was not included? Or perhaps the image URL isn’t the blog entry URL but the entry URL was plugged in as the link by mistake? Without actually doing the coding for the page, I can’t really tell what’s going on “behind the screen”, but perhaps my comment might point us in the right direction? Thanks Mary, I am having my designer look into it, appreciate the heads up and ideas! Thank you Karen for all these wonderful images. especially love the birds behind the parasol in the snow, so sweet and innocent. Was wishing I had some nicer paper but will look for some other type of paper to print this on besides card stock, any suggestions? So many of your wonderful images end up on our homes walls, love every one for the way each image improves our home and how it’s perceived by visitors as well as us. Thank you JaneEllen, you are so kind! I always love hearing about your amazing projects using my images!! The craft stores have all kinds of lovely paper choices, maybe an aged effect would look nice with this particular image? I have faith that you will find just the right thing! Thanks so much Maxine, blessings to you!